One Piece Fiberglass Shelters - Gripp Inc.
For year-round protection of larger equipment, Tracom offers one-piece FRP shelters. Our all-weather enclosures require virtually no maintenance and are not susceptible to decay or rust. Typical applications include: chemical storage, electronic instruments, motor/pump housing, chemical and polymer feed systems, chlorination/dechlorination systems, fire fighting, and marine equipment. The molded one-piece construction provides high strength at a low cost and eliminates the joints and seams that paneled constructed buildings. 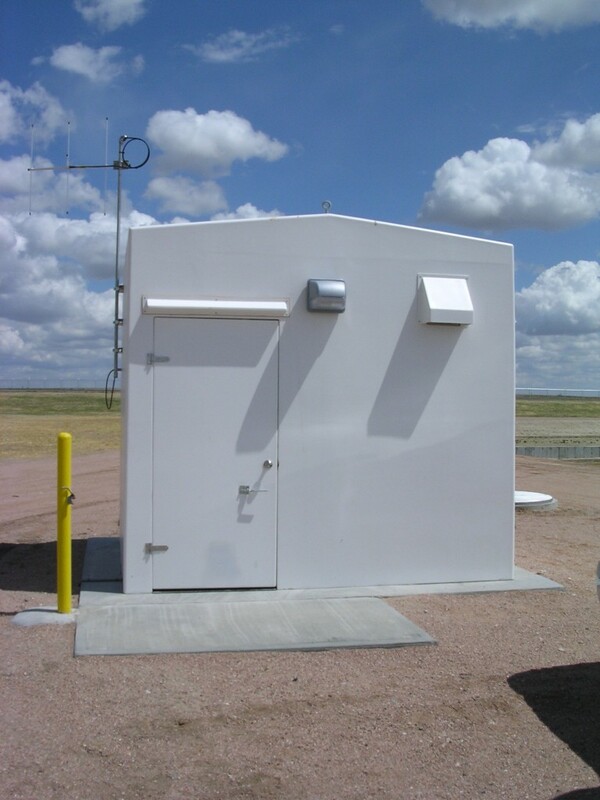 With all stainless steel hardware and no wood or metal structural members, TRACOM shelters are designed from the beginning for long life and extreme ruggedness. TRACOM’s standard buildings are designed for 135 mph wind, 40 PSF snow, and seismic zone 4 loadings. For more information, visit TRACOM’s Fiberglass Shelter Webpage or download TRACOM’s Fiberglass Shelter Brochure.